About Us » Enroll Now! An application form must be submitted for EACH prospective student. List all siblings who would attend this school on each form. Upon submission of your application, you will receive a confirmation notice that your application has been recieved. If space for your student(s) is available, you will receive an Acceptance Letter. Enrollment Packets will only be accepted from students who have received Acceptance Letters. Once your Enrollment Packet(s) have been received, you will be sent a letter confirming attendance at the campus you choose. We will also continue to send you information about school transportation and upcoming events. We encourage all families to visit our campus. Call to schedule your tour! 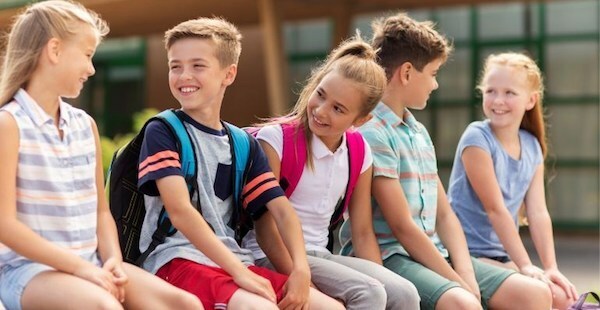 Consistent with state statute, Jubilee Academies gives first preference to a sibling of an enrolled pupil, a foster child of that pupil's parents, and or a school employee's child. If all spots are filled by lot, a lottery will be held on and a waitlist will be formed. Forms submitted for a class that is full will be kept on file (waitlist) for the remainder of the school year. Federal guidelines permit Jubilee Academies to exempt from the lottery students who are already attending the school, siblings of students already attending the school, and children of school employees (subject to limitations on percentage of total enrollment). If more applications are received than seats available, admissions will be determined via a lottery. Applicants not offered admission through the lottery will be placed on a wait list, which will be kept on file for the remainder of the school year. Jubilee Academies does not discriminate in admissions based on gender, national origin, ethnicity, religion, disability, academic, artistic, or athletic ability, or the district the child would otherwise attend. As authorized by Texas Education Code § 12.111(a)(5)(A), Jubilee Academies reserves the right to exclude students with a documented history of a criminal offense, a juvenile court adjudication, or other discipline problems under Subchapter A, Chapter 37 of the Education Code.